In three different centuries these writers have all described Pawleys in a similar way. Eternal. Timeless. People play here. Relax here. Breathe here. Dream here. And they keep coming back, year after year, generation after generation. This “spa to the soul” is less than four miles long and barely two streets wide in most places, separated from the mainland by a creek that’s so narrow you can wade across it at low tide. Yet psychologically that creek could stretch for miles. Frank’s character is correct, when you cross one of the two causeways and reach the island your shoulders really do drop “back to their natural position”. Life is reduced to simple choices and simple pleasures. 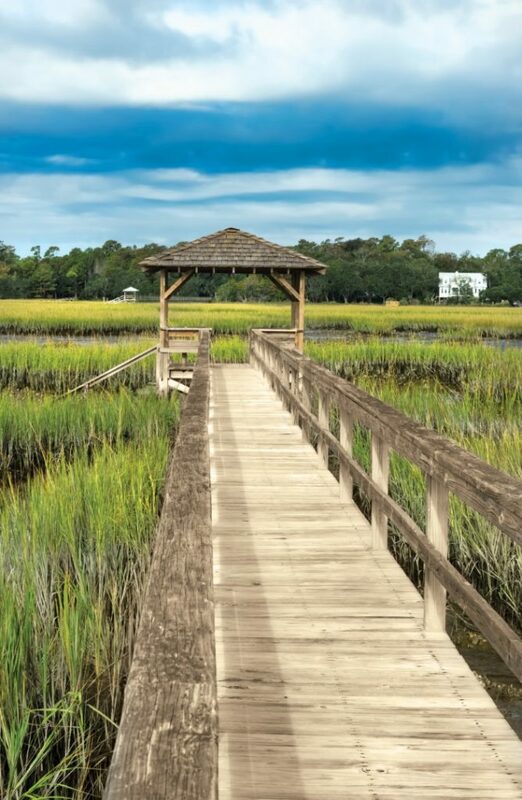 Pawleys is a well-kept secret, bounded by two more popular tourist attractions—Myrtle Beach 25 miles to the north and Charleston 70 miles to the south. Even today many people know only one thing about Pawleys: as the home of the famous rope hammocks, first made and marketed here in the 1930s and now sold around the world. Certainly a fitting symbol for what I once described as a center for “relentless lassitude”. This place is far more than just a retreat or a spa however. 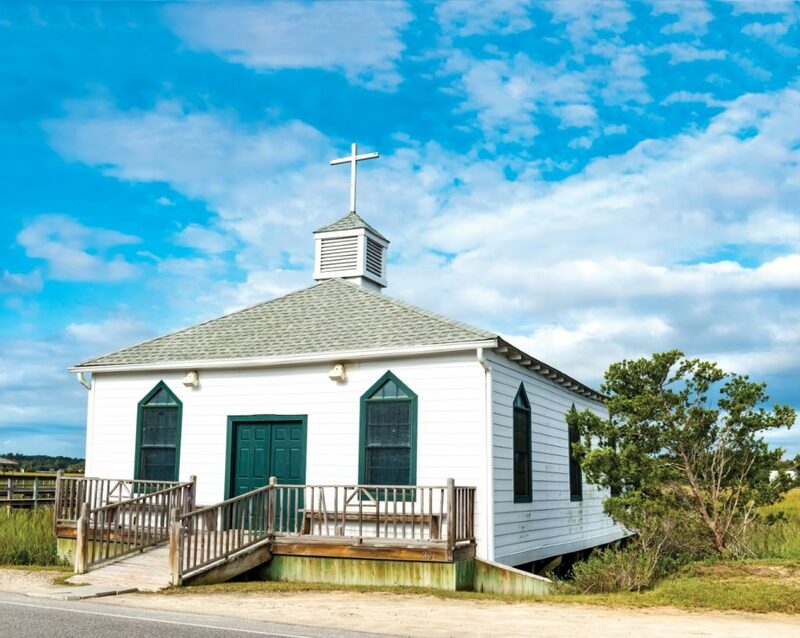 Its long and rich history is closely connected to a larger community, the Waccamaw Neck, a peninsula bounded on the west by the Waccamaw River, on the east by the Atlantic Ocean, and on the south by Winyah Bay, home to the colonial era seaport of Georgetown. By the mid-18th century the region’s economy was flourishing due mainly to one crop: rice. But the fetid rice fields brought disease along with prosperity, especially malaria, what one early account called “the summer sickliness of the plantations.” The planters did not know that this deadly malady was spread by mosquitos; they did know enough to send their families to the seaside for the summer. They started building houses on what they called the “Canaan Seashore,” the western side of the creek that separates Pawleys and an adjacent island, Magnolia, now called Litchfield, from the mainland. Pawleys Island itself was a wild place then, full of huge sand dunes and isolated by the creek. The first pioneering settlers moved their summer residences to the island in 1822 and the first causeway was built in 1845. By the turn of the 20th century Pawleys was changing character, from a private retreat for a few privileged families to a public tourist destination. Steamboats ferried travelers up the Waccamaw from Georgetown, and they took a variety of conveyances—horse drawn carts, early autos, even a railroad for awhile—across to the beach. Inns and boarding houses flourished to accommodate the tourists. So did dance halls and bowling alleys, amusement parks and snack bars. The modern era began in 1935, when a bridge was built across Winyah Bay and the seashore road, now known as Highway 17, was finally paved. Tourists could now drive to Pawleys without getting lost or taking forever. Three years later the Lachicotte family opened the first store on the highway selling the hammocks that made the Pawleys name famous. In 1985 the residents incorporated into a town for the main purpose of controlling growth and all commercial establishments were banned on the island itself. Four years later Hurricane Hugo destroyed many of the older smaller homes and newer, larger residences took their place. An island that once reveled in the description “arrogantly shabby” was shabby no more. But for all the changes the essential Pawleys remains. This is still an old-fashioned place where the old rhythms still rule and the old songs are still sung. Elizabeth Pringle’s beach, what she called “the only beach in the world,” is still here. Steve Roberts has been coming to Pawleys Island with his family for more than 40 years. He is the co-author, with Lee Brockington, of a new book about Pawleys that will be published in Arcadia’s Images of America series.